A number of strategies have been introduced to make money online and most of these are simply a digitization or even an improvement of offline methods that have been used by people for decades. The internet has changed the way people do things and gambling is one such thing. It is immensely popular because it is one of the fastest ways of making money online. Lottery is an old way of gambling and practiced widely because it has the potential of providing people with huge returns. FreeLotto.com is one such website, which has been in the business for a long while. It is owned by a US-based company called PlasmaNet Inc., which has its headquarters established in midtown Manhattan. FreeLotto, which was launched in 1999, has hundreds of thousands of members, pays taxes, generates revenues and is governed by all the applicable state and federal laws, regulations and statutes that are concerned with this industry. One of the most notable part of this website is that it allows its patrons an opportunity to try their hand at a game of chance completely free of cost and has been doing so for more than 18 years. 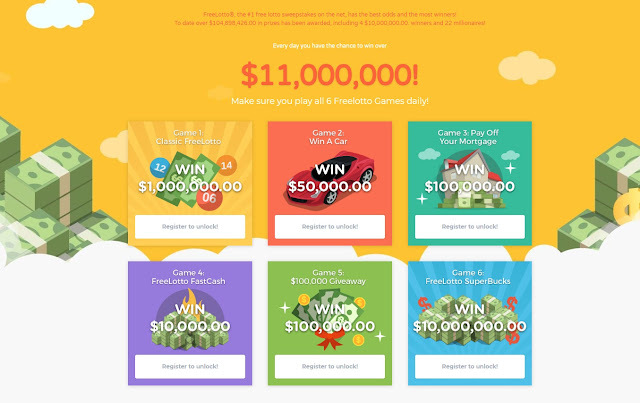 Essentially, FreeLotto is a sweepstakes website where you don’t purchase lottery tickets, but do get the opportunity to win cash and numerous other prizes such as cars. One of the top reasons the website has gained so much recognition is the fact that it gives people a chance to win prizes that are as high as 11 million dollars and all without having to pay even a single penny of their own. When you visit FreeLotto’s website, it will give you the option of participating in six different games and every single game can be played without having to pay anything. Players are allowed to enter every game once a day, every single day. 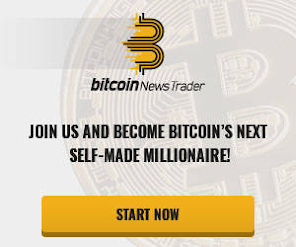 The website shows that since its establishment in 1999, it has awarded its members over $104,706,013 in cash as well as other prizes. However, a lot of people wonder if FreeLotto is a legitimate website or a scam. After all, why would a website give you cash prizes for free? Anything that sounds too good to be true will automatically be suspected. So, how does FreeLotto work if it is not a scam? Well, this website is only free for its members only when they agree to see advertising by email and on their website. These sponsors and advertisers provide FreeLotto the opportunity of offering cash and other prizes to its members without charging anything from them. This is definitely not a fraud and the primary principles behind the games available on FreeLotto are similar to every other sweepstakes. These games work just like the ones run by states, countries, local religious organizations and multinational games. Sweepstakes is essentially a game of chance where the size of the winnings and odds increase in direct proportion. Sure, the odds are long, but like other legitimate sweepstakes, there are chances of winning. When using FreeLotto, players are allowed to register approximately 10 accounts on the website. But, you should bear in mind that when you are signing up on the website, you need to be able to provide them with your actual first and last name, a current postal address as well as an accurate email address. You will not be able to use the website if you don’t enter a legitimate, working email address because all results are sent via daily email and sponsors and advertisers also need to be able to get in touch with you via email. If you don’t wish to receive certain types of email, you will have to unsubscribe. How can you do that? If you visit your Player Profile page, you will find the feature to unsubscribe on it. But, it is necessary to remember that unsubscribing from all emails means that you will not be able to play any games on FreeLotto. Therefore, it is best to let the emails come if you want to continue to play on the website. How to play? After you have selected numbers for every game, you are required to click on the banner ad of a sponsor. When you do so, you will be required to answer a multiple choice question or another option is to click on the FreeBet button. Other than that, the website may ask you questions about your buying preferences from time to time. FreeLotto’s home website is in English, but you can also access the website in Norwegian, French, Russian, Spanish, Suomi, Portuguese as well as Swedish if you want. When you start playing on the website, you have the option of playing two ways; you can either choose your own numbers or you also have the option of going with the Quick Pick method. If you win a game on the FreeLotto website, an email notification is sent by the sponsor. However, the website itself doesn’t give you any notification, although it states that you can check the results every day. Moreover, FreeLotto has a subscription service that’s known as FreeLotto F.A.S.T or FreeLotto Winners club. Members who opt for this service are provided some extra perks such as a lottery newsletter, expedited prize payments and also 180 chances to win prizes in every eighty days. As far as customer support is concerned, the website doesn’t have an FAQ page, but there are subheadings that can be found. Some of these subheadings include How do I Play? How do I Collect my Prize? Am I eligible to Play? and similar questions. 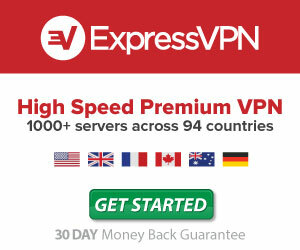 There are some other channels of customer support that can also be used such as social networks and a Contact Us form. While it is not really a lottery, FreeLotto is regarded as a sweepstakes because members are not required to pay anything in order to play. However, not everyone can participate because some countries prohibit its residents from doing so. Nonetheless, members should know that when they sign up, their contact information will be shared with sponsors and advertisers.